Amara with Headgear, Petite Gel - SHIPS FREE! Amara with Headgear, Small Gel - SHIPS FREE! Amara with Headgear, Medium Gel - SHIPS FREE! Amara with Headgear, Large Gel - SHIPS FREE! 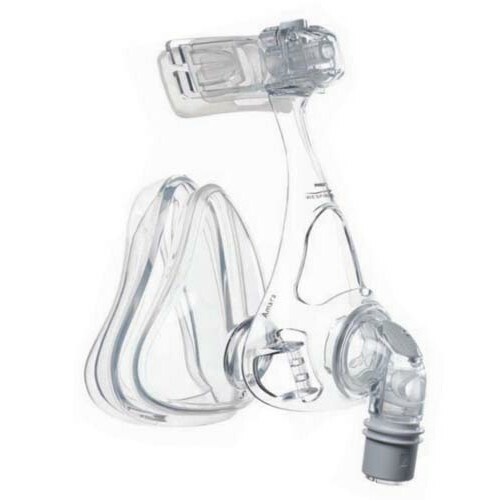 Amara Gel Full-Face CPAP Mask, manufactured by Respironics, is an innovative CPAP mask specifically designed to work with any CPAP or BiLevel machine. 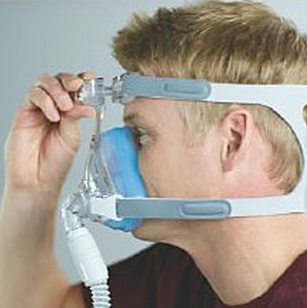 Featuring a fine-glide forehead adjuster, you can perfectly fit this CPAP mask to your face. This adjuster can be positioned up to 10 different ways, which is great for alleviating pressure on more prominent noses and reduces pain from sinus pressure. The Amara is available in four different sizes ranging from petite to large, which, clinically proven, will fit up to 95% of patient faces. The Amara's cushion is made of a supple gel that will comfortably hug the contours of your face. 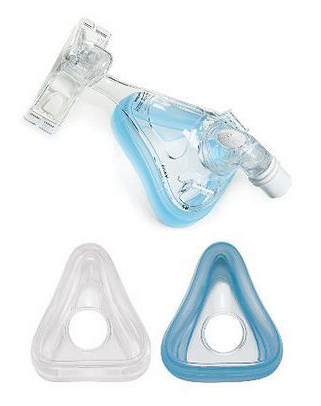 In addition, because this mask covers your nose and mouth, you have the freedom to breathe in and out of either airway without losing therapeutic pressure. Once this mask is properly fit to your head, you do not have to worry about adjusting cumbersome headgear often. This mask features quickfit headgear clips, which allows a user to easily remove or apply the mask with an incredibly easy-to-use clip system. Because of the Amara's lightweight and compact frame, it will be less obstructive to your line of vision. In addition, you will find yourself being able to fall asleep more easily. 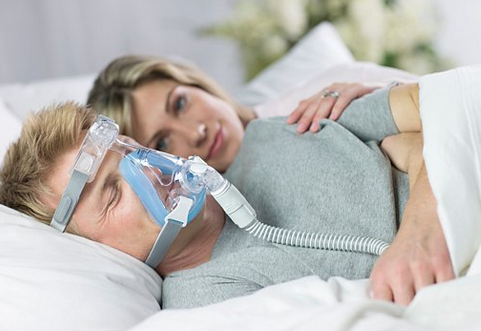 Truly, the Amara Gel Full-Face CPAP Mask is manufactured with the unwavering quality that you expect from Respironics. Allows nose and mouth breathing. Product Numbers: 1090400, 1090401, 1090405, 1090406. Sizes: Petite, small, medium, large. 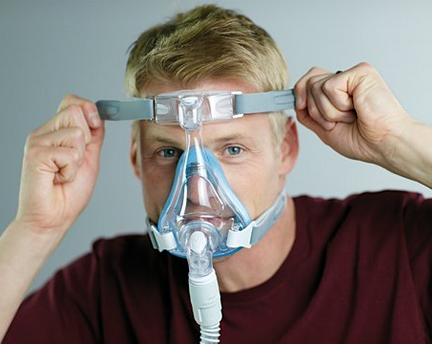 Application: To wear with CPAP.